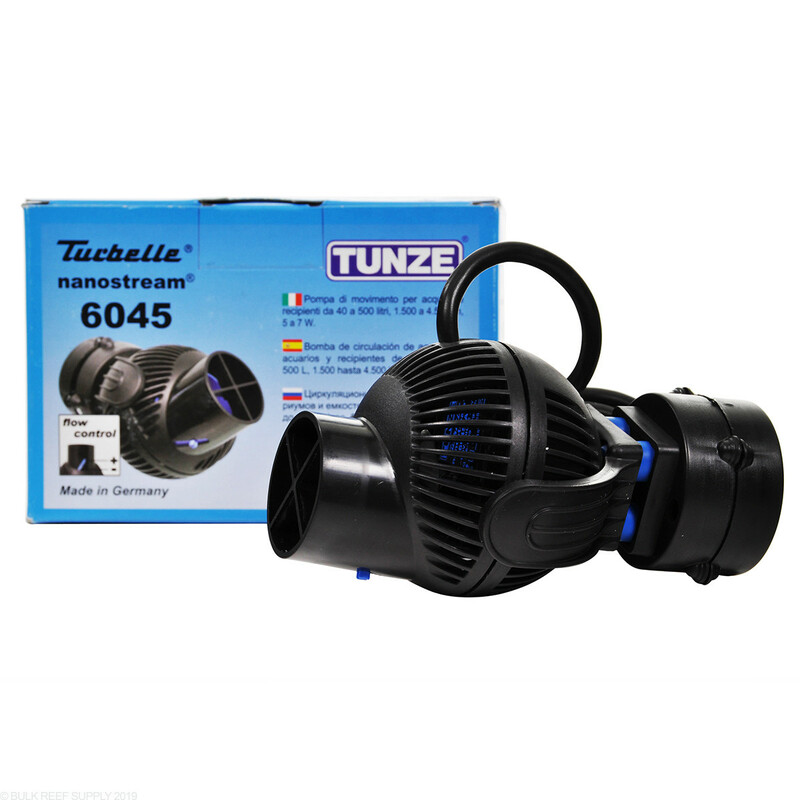 I have had good success with the Tunze pumps. This one has been no exception. Small, easily aimed, powerful for the size. Easy to clean. Pros, is very quiet and can be maneuvered at any angle. I have my pumps on a timer, so that the flow is halved at night. So they must turn off and back on later, and do this once per 24 hour period. 2 Tunze, this and a 6015, both stopped turning back on at the 2 month mark. Cleaned till good as new. But they forever need a flick on the prop itself to get going again. I know they aren’t necessarily built for this, although they’re “controller” for sale seems to suggest they are, but I’ve had 2 Hydors and 1 “sun” no name brand for 15 bucks off amazon so it for 2 and a half years. I was switching to get pumps that I could angle better, but for the price they let me down. Bottom line, they’re ok but NOT RELIABLE ON CONTROLLERS. Hydor and “Sun” operate on controllers more reliably. 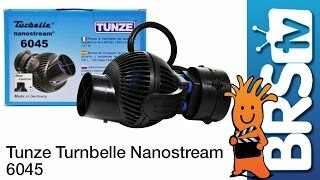 After trying many techniques and products for providing circulation in a reef tank over the years I have come to prefer Tunze powerheads for their simplicity, build quality, longevity, ease of maintenance and energy efficiency. Worth the extra bucks IMO. I'm using a couple of these (and a 6025) in a small reef (65 gallon). Great design, easy to install/aim. They provide nice strong flow without blowing the sand around or beating up the anemone. No audible noise...the usual excellent Tunze quality. 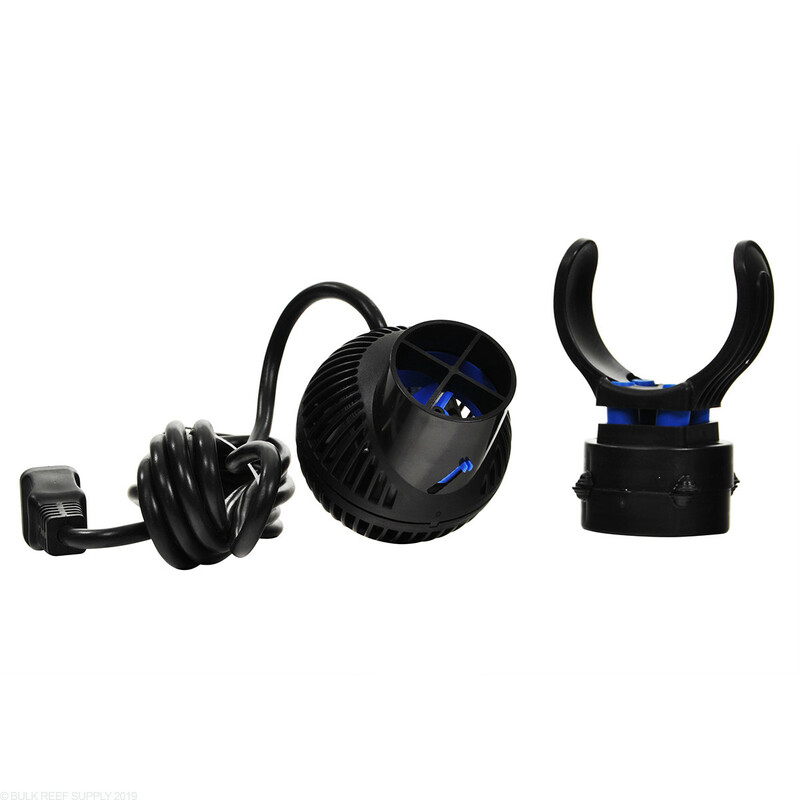 I ordered two of these for my 75g reef build. The pump quality seems nice other than the fish guard, the reason for only 4 stars. The pumps are very small and versatile with aiming angles. When I received my pumps both of the fish guards were broken. BRS has amazing customer service and sent me two new pumps and upon inspection one of the two new pumps also has a broken fish guard. That's my only complaint. I am new to the hobby and have started a 60 gal reef tank. I purchased this unit less than a month ago and it has already failed. I am going to contact BRS on what i can do to return the product. It was recommended by BRS so i trusted the recommendation. The unit has a very small design and i like the adjustments that can be made directionally for this pump. I am considering asking for credit to purchase some dc versions that have the cords outside tank. Wanted to try this pump in my 40gal and it has good flow. I will be getting one more for good cross flow. 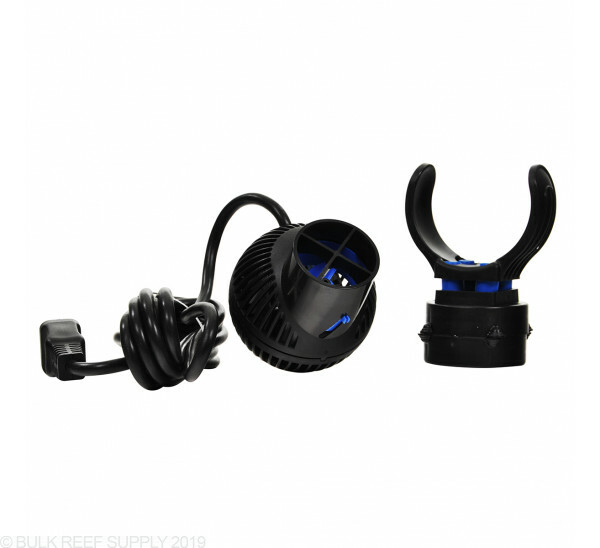 I do like these powerheads, i ordered 2 for my 65 G mixed reef. They move a lot of water and are quite small. The magnets barely make it through my glass (1/2") but they do hold OK. The flow is a bit narrower than I thought. I initially bought the sicce voyagers but replaced them with these, and am much happier with the Tunze ones. installed 2 in a 75 gal. unobtrusive, very quiet, works perfect, manual adjustment works great, easy to adjust direction. Tunze makes great products. The flow adjustment is nice. The 6045 really moves some water compared to its size. Bought a 6045 about 3 months ago, & was certainly impressed! Design, size, overall quality beat the pants off my older existing Hydor Koralias. Absolutely love the ball design of the impeller cage - truly does let you swivel the head around in any direction you want. Small size = less obtrusive. Excellent Tunze qualtiy, very quiet - even on startup, not like the big grinding/rattling noise the Koralias make when they start up, & yes the Koralias are well-maintained. Will this work on a 120 gallon with a 30 gallon sump? Would this pump be suitable for a 60 gallon 24x24 inch cube? LPS only right now. If not, can you recommend a good pump under $100? Thanks. 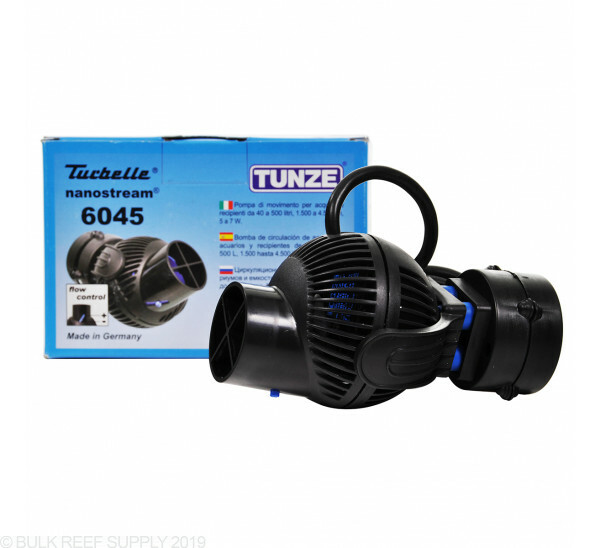 Tunze pumps are among the best, and depending on the desired flow for your tank, such as a more low to moderate energy tank such as yours, this pump should do very well. If I get the 6054 and the Tunze to APEX cable, do I need to get anything else? I plan to get the 6054 without a controller and use my apex to control it. Does it need separate power to drive the powerhead? The 6054 is not a controllable pump and does not come with the option to hook up to the apex besides by plugging it into an outlet which can turn it on or off. You will need to select a tunze pump with a controller pictured for control through an apex on speed and other things. Feel free to let us know if you have any further questions! Do you need a separate controller to adjust the speed of the Tunze 6045? The 6045 isn't electronically controllable so you do not. It has a slider on the side of the pump that you manually adjust to change the flow.